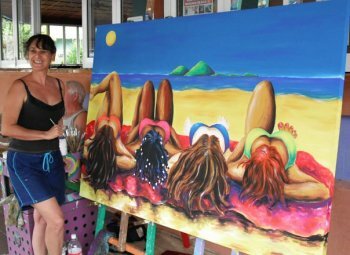 Lovingly know as "The Girls" to all who witnessed their creation as I painted them over 8 Thursdays outside Oceania Bar & Grill, Mission Beach FNQ. 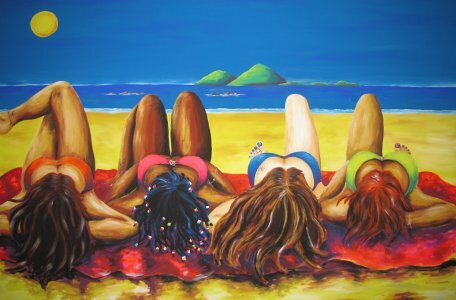 The painting symbolises the magnificent beauty we have at our doorstep here in the tropics. The girls are all goddesses of love beauty and fertility. (l-r) Aphrodite, Isis, Branwen and Frejya.